Global speakers and delegates gathered on Tuesday for the last day of the three-day World Government Summit. As many as 4,000 delegates are expected to attend the event including heads of governments and representatives of 16 international organisations. The sixth edition of the annual thought gala is hosting 130 speakers and 120 sessions mostly focused on shaping governments. The summit will draw to a close with the presentation of awards at the summit venue at Madinat Jumeirah in Dubai. The UAE bagged two awards for having the Best Mobile Government Services during the closing ceremony of the sixth World Government Summit on Tuesday. Dubai Police’s app won in the Protecting Human Life category of the fifth cycle of the award and The UAE Ministry of Human Resources and Emiratisation’s app was selected in the Enabling Business Category. His Highness Shaikh Mohammad Bin Rashid Al Maktoum, Vice President and Prime Minister of the UAE and Ruler of Dubai was present during the honoring ceremony, where he had also honored winners of the Edge of Government Award and the Global Universities Challenge Award. In the Best Mobile Government Service Award, which received more than 3,000 nominations from 77 countries, it sought to honor pioneers in their race towards solving common global challenges and benefiting humanity. H.H. Shaikh Saif Bin Zayed Al Nahyan, Deputy Prime Minister and Minister of Interior, presented the winners of the Best m-Government Service Award. The #WorldGovSummit Award Ceremony will now commence. Stay tuned as we reveal this year's winners. • The winner of the Best m-Government Service Award for the Accessible Government Category is India’s Umang. • The winner of the Best m-Government Service Award for the Effective Mobility Category is UK’s City Mapper. • The winner of the Best m-Government Service Award for the Protecting Human Life Category is UAE’s Dubai Police. • The winner of the Best m-Government Service Award for the Enabling Business Category to Ministry of Human Resources and Emiratisation. • The 1st Place Winner of the World’s Virtual GovHack Award, is Clean Water A.I, second and third place goes to Cycle and Smart Tenders respectively. His Highness Shaikh Mohammad Bin Rashid Al Maktoum, Vice-President and Prime Minister of the UAE and Ruler of Dubai, is on stage to present the following awards. • The winner of the Edge of Government Award is Mobilizing Constructions from Kenya. 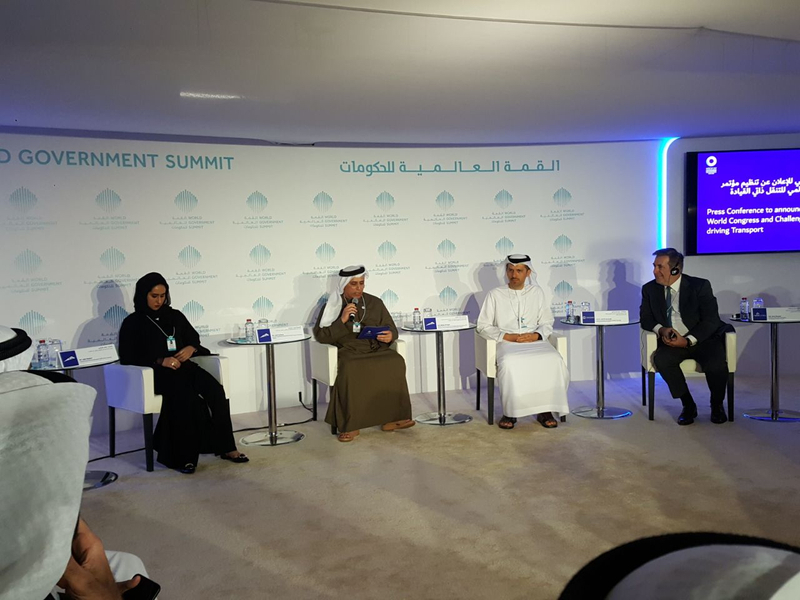 His Highness Sheikh Abdullah bin Zayed Al Nahyan, Chairman of the Education and Human Resources Council, UAE, taking the stage at #WorldGovSummit to speak about An Education System That Serves Jobs Of The Future. 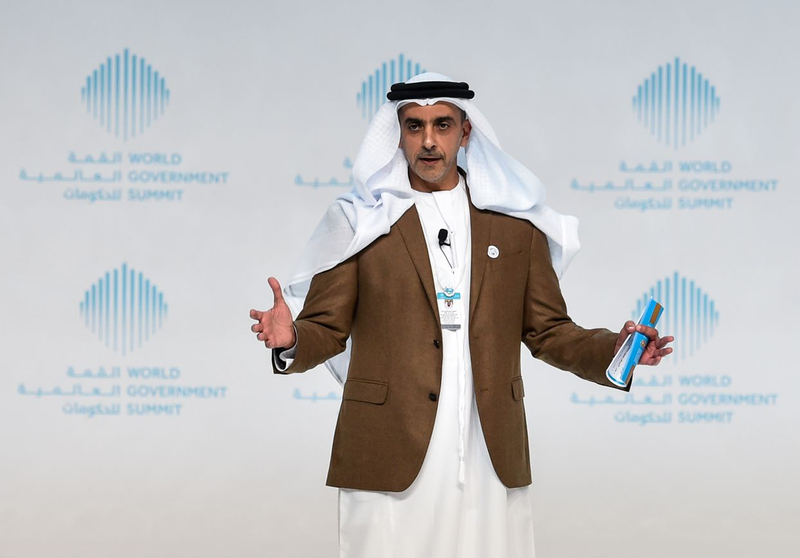 When the Gulf pearl industry collapsed in the 20th Century, the UAE adapted and diversified to meet new economic and social challenges, said Shaikh Abdullah Bin Zayed Al Nahyan, Minister of Foreign Affairs and International Cooperation, at the World Government Summit on Tuesday. And as the world now moves into deepening globalisation, technology and automated technology in coming years, the UAE will once again rise to the challenge to embrace a very different economic future, he said in an address. In his capacity as chairman of the Education and Human Resources Council in the UAE, Shaikh Abdullah told delegates in the closing hours of the summit that a renewed national effort is needed to bolster the country’s education system to ensure today’s children have the latest skills for the future. While the UAE ranks first in terms of human capital in the Arab world, Shaikh Abdullah said the UAE’s rank globally is 45th. In coming years, automation and artificial intelligence is predicted to eliminate more than two-thirds of low-and medium skilled jobs, delegates heard. “Most of our skills will be useless [in the future] with automation,” Shaikh Abdullah said. “We will witness many failures because many routine and managerial jobs will be substituted by artificial intelligence. Teaching children in early education years, Shaikh Abdullah said, to acquire new skills such as critical thinking and latest digital skills will help them cope with greater market challenges. “We have to teach our citizens new skills … and not to settle for skills in the current market that will not equip us for future markets,” he said. Attracting and securing good, qualified teachers who are prepared for the future are critical to the years ahead, he said. Delegates attending the sixth World Government Summit (WGS) said they were optimistic about the future after taking part in over 120 sessions across the three-day event. Gulf News spoke to a handful of 4,000 delegates on the final day of the large event who believed the summit gathering has shed light on the latest developments across various fields that would help improve government work and offer better services to help serve societies. Dr Rakiatou Christelle Kaffa, Minister of Public Service and Administration Reform in Niger, said she saw the event was a knowledge platform where she was able to understand the vision of the world for the future. Another delegate, Thuraya Al Hosani, an English teacher from the Ministry of Education said she enjoyed hearing about all the developments and advancements happening in the UAE in various fields and sectors. Meanwhile, Abbas Kazmi, Managing Partner, Collegiate Capital, believes there is lots of hope for the region, in terms of developments going on particularly in fields of Artificial Intelligence and technology space. “There was a very interesting range of speakers this year and many recommendations for policy makers, such as what governments can do not just in areas of business only, but areas of technology, arts, culture, happiness of people,” he said. One of the popular sessions of the final day of the World Government Summit was a conversation with will.I.am. The American musician, singer and rapper and a founding member of the hip hop band Black eyed Peas, participated in the summit to address the session - Access to Technology and Development. In 2009, will.i.am launched the i.am.angel Foundation lives through education, inspiration and opportunity. The foundation administers charitable activities and programs targeted towards providing college scholarships (i.am scholarship), college preparation (i.am College Track), and opportunities in STEAM education (Science, Technology, Engineering, Arts and Mathematics). “I am a techie, not a musician. My instrument is the computer which I use to bring joy to people," he begins. “With music I was able to take my family out of the ghetto, then I realized my friends are in the ghetto, so I took my money and built schools in the ghetto, to bring them out of the ghetto. I have seen a huge transformation in our community." “Every time there is a revolution, there is panic. This is the fourth industrial revolution. Are you an agent of change or are you just a part of the world? I encourage everyone to be an agent of change,” he says. 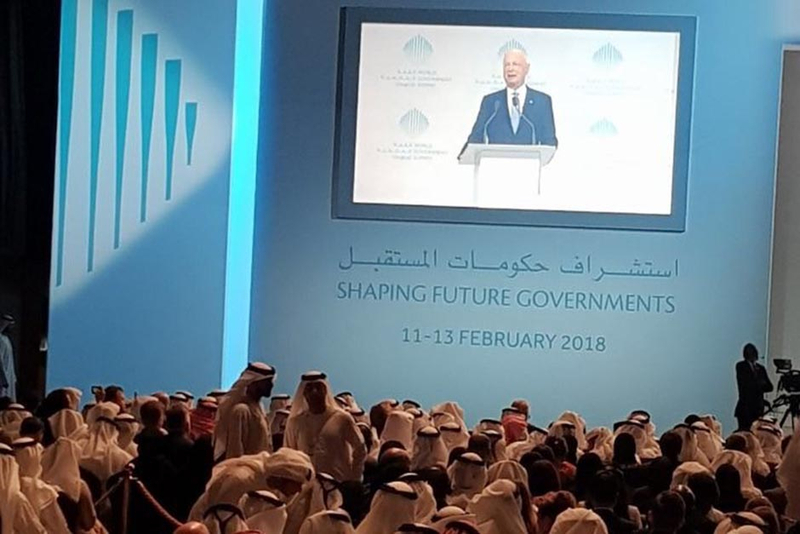 Globalisation and emerging technologies are morphing world governments, markets and institutions at such a rapid pace that old-hardware models are failing to keep up with change, said experts Tuesday at World Government Summit in Dubai. But it’s not too late to meet future challenges for those who step up efforts now to meet the future, they said. Roberto Azevedo, Director General of the World Trade Organisation, said expected job loss in coming years can be attributed more to emerging technology than globalisation and said his 164-member global group is working hard to embrace change. Old trade networks and systems used to transport goods around the world are still needed, but Azevedo said, said new digital consumerism is impacting heavily the bricks-and-mortar retail market and its value chains. "When someone invented the wheel, someone lost a job,” Azevedo said, noting that digital empires such as Amazon are rewriting how people shop and consume goods. Malcolm Gladwell, New Yorker journalist and author of five books, also sounded a warning to summit delegates that historic, institutional approaches dating back two or three centuries are not effective enough to meet more modern dilemmas. Dubai has just announced at World Government Summit a new global challenge in best self-driving transport solutions, with a total prize purse of $5 million. The winners in different categories - such as start-ups, large firms and research institutes- will be awarded in October 2019 during the first Dubai World Congress in Self-Driving Transport. The contest will be held once every two years. The announcement was made during a press conference at the summit on Tuesday. Participants at the press conference included participants will included Mattar Al Tayer, Director General and Chairman of the Board of Directors, RTA; Dr Aref Al Hammadi, Deputy Director, Khalifa University; and John Rossant, Chairman of New Cities. The initiative will be held in association with Khalifa University and New Cities, a non-profit organisation that studies the impact of disruptive technology on cities. Major innovation undertaken by Dubai Electricity and Water Authority (Dewa) has placed Dubai in good stead to meet the future, said the utility provider’s top manager on Tuesday on the final day of World Government Summit. 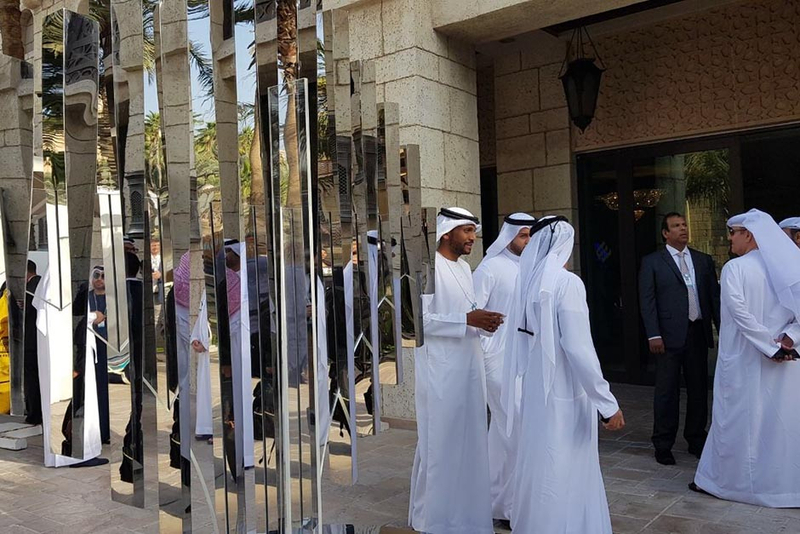 Dewa, to build a concentrated solar power project using thousands of mirrors will direct collected sunlight to a 260-metre tower, the tallest in the world, said Al Tayer. People need to get practical training in a curriculum that mirrors a field job, education today is narrow and not enough to prepare people for the hi-tech jobs of tomorrow. McDermott touches on Dubai and investments in Police Robots. “These robots can serve the greater good. There is a purpose for this, and it is to serve humanity and not to harm humanity. It’s a good thing to automate processes to provide safety for humans. Where robots can intercede. You don’t replace humans, there will be more opportunities for the humans. His Highness Shaikh Mohammad Bin Rashid Al Maktoum, Vice-President and Prime Minister of the UAE and Ruler of Dubai, breezed quickly on his annual tour through the media centre in the basement bunker at Madinat Jumeirah, home to the World Government Summit. Leading an entourage, Shaikh Mohammad made an inspection of more than 100 journalists at work who are assembled in a sea of laptops and camera gear. Shaikh Mohammad stopped to shake hands with surprised bystanders. Journalists and public-relations staff whipped out their smartphones for an impromptu media scrum of sorts with cameras flashing as Shaikh Mohammad passed through the human crush. "Was that Shaikh Mo?" queried one bespectacled young reporter hammering away so hard on her computer that she didn't even notice the clamour in the room. In coming years, 150 million people will leave their jobs around the globe while 300 million young people will be searching for work, says Jim Yong Kim, President of the World Bank. “The problem of creating new jobs is with us right now,” Kim said at World Government Summit on Monday. By 2030, the gap is expected to widen to 182 million people looking for jobs that may not be available as artificial intelligence and automation wipe out low-skilled jobs that are waning long since the advent of the industrial revolution, he said. And as the world becomes more interconnected digitally through the internet and social media, increasing aspirations by everyone around the world, a lot of people may be in for major disappointments in the years ahead unless governments act now to head off the problem. His Highness Shaikh Mohammad Bin Rashid Al Maktoum, Vice-President and Prime Minister of the UAE and Ruler of Dubai, and Shaikh Hamdan Bin Mohammad Bin Rashid Al Maktoum, Dubai Crown Prince are currently attending the "Importance for Governments in Investing in Human Capital" session by Jim Yong Kim, President of the World Bank. “The way we are working is not working,’’ says the founder of Huffington Post Arianna Huffington. Speaking to delegates on Sunday at World Government Summit, Huffington said there is a major health crisis in the world in which people are taking better care of their phones, than they are of their own bodies. A self-declared burnout victim, Huffington said smartphone owners know how much battery power they have left in their phones but usually have no idea how much battery power they have left inside their own bodies. Overloaded filtered reality of “a friend’s life” on social media creates a social-media envy that is harmful to children and adults alike that needs to be countered with better phone hygiene, she said. Ariana Huffington quoted His Highness Shaikh Mohammad Bin Rashid Al Maktoum, Vice-President and Prime Minister of the UAE and Ruler of Dubai, saying: "Man is at the heart of creativity and innovation, so we must feed ourselves and care about our health." Huffington explains that while A.I. may become more intelligent than we are, but they will never be able to outshine our creativity, compassion, empathy, or passion. And that these qualities will soon define our future. She adds that happiness consists of wellbeing and wisdom, we need to learn to tap into this wisdom to redefine our future. "Science used to be all about discovering and now it is all about creating," said Juan Enriquez, co-founder of Synthetic Genomics Inc. and co-author of the book Evolving Ourselves. "We have been choosing and creating things for a very long time based on what we need and prefer. We are now building full genomes," Enriquez said. He said it cost his company $40 million and five years to create the world's first synthetic life form. Make flu vaccine in a week instead of a year. "You can give me a vial of a flu sample, we can create a flu vaccine and produce it while it is being flown to a certain place! Similarly, human bones can now be made. Live Now at #WorldGovSummit: His Highness Sheikh @HamdanMohammed, Crown Prince of Dubai and Chairman of the Executive Council, on stage for the Launch of Dubai 10X 2.0. “10x will increase employment by 10 per cent in the UAE and as you know most developed countries don't have the rate of 5 per cent,” says Aisha Bint Buti Bin Bisher, director-general of Smart Dubai. This left to the Rahhaal project where instead of learning through schools and only certain subjects student will be able to learn specific subjects that they want to learn. In the city of the future, it effectively becomes free to move around the city and you will probably have no car. Mass transit systems will also become better, probably, because feeders will be much more efficient than you driving to a station. Need a pen? Print it! 3-D printing will revolutionise manufacturing and it is not just plastic - Materials like metal, glass, and semiconductors can all be 3-D printed. So, we don't have to have shops anymore. We should expect significant job loss because essentially, we have been using humans as robots. Professor Russell - "People say: 'We'll just train everyone for the jobs of the future and have a billion data scientists.' Well, the world does not need a billion data scientists. When all the basic material needs are met by a very small number of humans running automated factories, what we are going to be doing is working with each other to improve each other's life. The problem is - we are not very good at it." How do cities become intelligent? With sensors and cameras everywhere, satellite imagery and the Internet of Things are making it possible to do a lot of things. Dubai is already at the forefront of smart cities. "But we now face what can be called the Midas challenge - where robots might do exactly what we have asked them to do, without considering human values, ethics and sentiments." Robots could be your housekeepers in the future, but the moment THIS happens, the robot industry might be over. Professor Stuart Russell talks about the very real challenges that we could face with robots. Robots will soon be helping you! But watch out, they'll also be unbeatable at board games! Prof. Stuart Russell, Professor of Computer Science and electrical engineering at UC Berkeley, gives us a sneak peak of what the future will look like. Dr Roman Yampolskiy talks about the concerns with A.I. Artificial intelligence is the future but there are serious concerns, according to Dr Roman Yampolskiy, Professor of Computer Science at the University of Louisville, who spoke at the World Government Summit. "We are seeing an increasing number of cyber attacks and the most attacks don't focus on systems but rather people and I am not the only person who has these concerns." Apart from human errors, that can happen at different steps, there is also a very real threat of malevolent designs of AI. "An aspect of my work is that I am trying to mitigate some of these threats." There are now a lot of efforts by non-profits and governments, trying to set up some sort of a framework. His comments came during a morning session that discussed the inevitability of Artificial Intelligence and how governments can influence its development, including the technologies coming in the next 20 years and their impact on people. Kelly said that as machines are being made, they are going to be engineered in a way that makes their cognition exceed human cognition in certain dimensions. “These machines will be specialized and have variety of intelligence that exceeds ours. We are making many different types of AI minds, which will have many different types of thinking and almost none are like humans. The fact that they don’t think like us is the main benefit,” he said. Pointing out the advantages of them being able to think differently, he said: “This would be the engine of a new economy and engine of all innovation. Alien intelligences help us think different. We will be working with them not against them,” he said. • In the future we will be able to upload and download our experiences - moving from the internet of information to the internet of experiences. • Data infrastructure that focuses on moving and storing data to run virtual reality and similar systems will prove advantageous for business in the future. • It is important for governments to collect and understand human data, so that they be ready for future mass-scaled collaborations. • We are at the beginning of these changes, the greatest products in the 25 years have not been invented yet. Danish architect Bjarke Ingels - Why begin with Mars? It's our closest neighbour and we can reach Mars in only three months. Mars is a little cold but somewhere between the habitable range. But one thing that is a cosmic conincidece is that the daily cycle at Mars is 24 hour and 40 minute, which is very close to the Earth, and everyone could use the extra 40 minutes in a day! "The challenges to a Martian future? Creating the resources like water, making the land 'Earth-like' and protecting human beings from radiations. But it can be done," says Bjarke Ingels. 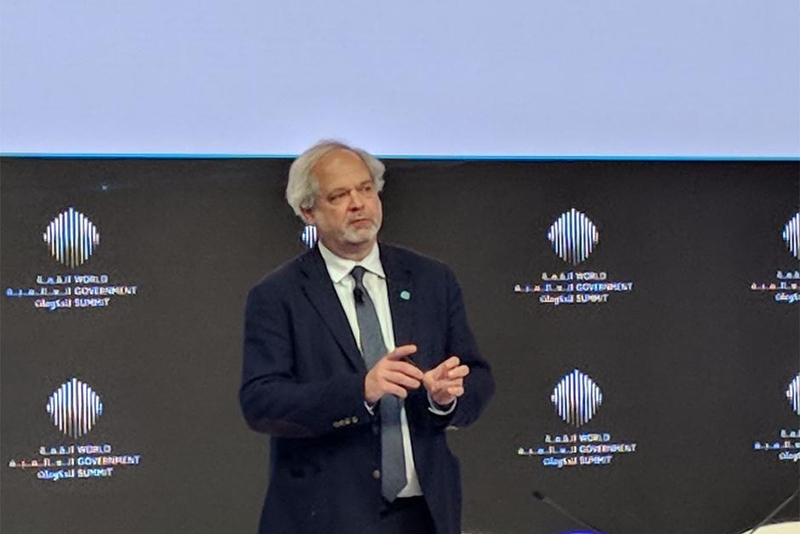 Gulf countries who have found stability through statehood are leading the way into the future as examples for other countries in the Arab world, said a top political scientist and economist at World Government Summit on Monday. In a conversation, Francis Fukuyama was asked by Dr Anwar bin Mohammad Gargash, UAE Minister of State for Foreign Affairs, how do we establish an economic model without using liberal DNA. 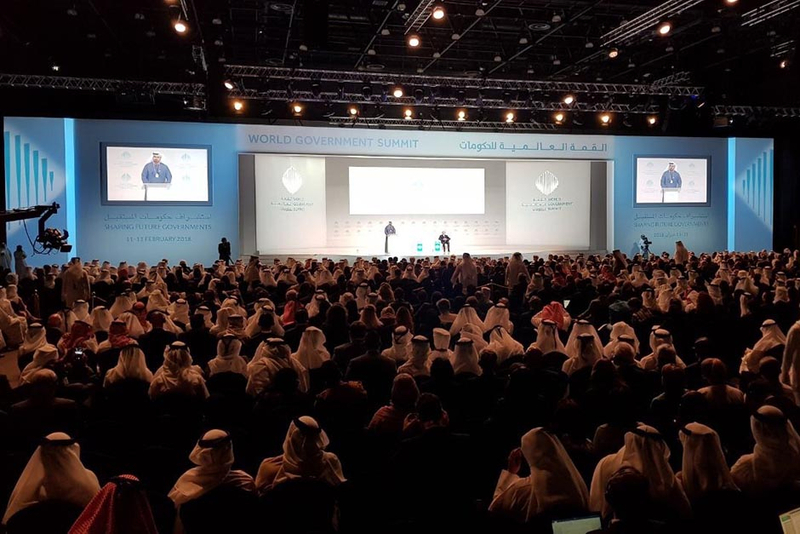 Multilateral government policies are not always lofty, surreal realms out of touch with the society which they govern, delegates heard on Monday at the second day of World Government Summit in Dubai. Some very real international programmes can make a tangible difference in people’s lives, especially in times of disaster, said a top United Nations official. Achim Steiner, Administration of the United Nations Development Programme, is an expert on the environment and was appointed to the UN’s lead development agency early last year. In an opening address to some of the 4,000 delegates attending the sixth annual World Government Summit, Steiner pointed to the continuing drought conditions in Ethiopia since the 2015 El Nino effect on the region which has left 8.5 million people in dire straits. In comparison to the billion-dollar economies of the Davos sphere, Steiner told delegates, within 24 hours of the Swiss economic forum, he travelled to Ethiopia where the conditions are dismal. “This drought is far worse than any drought in history,” he said, adding that thanks to disaster management plans in place by the UN and a multitude of relief agencies, countless lives were saved from famine and drought. “In this case, we averted famine … food and government support was able to avert disaster so often seen,” Steiner said. Everything from air quality to marine conditions will be gauged from space, says Dubai Municipality head. A new data-collection satellite will monitor a wide array of information across the UAE to help government make better decisions, said Hussain Lootah, Director General of Dubai Municipality. Lt-Gen Shaikh Bin Zayed Al Nahyan, UAE Deputy Prime Minister and Minister of Interior, has launched "Zayed the Inspirer", a global platform of inspiration. Named after the late Shaikh Zayed Bin Sultan Al Nahyan, the platform, www.zayedtheinspirer.ae, marks the centennial anniversary of the birth of the UAE founder and inspirational leader. It was launched under the directives of His Highness Shaikh Mohammad Bin Rashid Al Maktoum, Vice-President and Prime Minister of the UAE and Ruler of Dubai. The platform acts as a global database for inspirational stories from all over the world — and a source of inspiration for all mankind. "I found that the UAE holds a title and that title is the 'Land of Inspiration'," said Lt-Gen Shaikh Saif Bin Zayed Al Nahyan, Deputy Prime Minister and Minister of Interior, as he launcheed 'Zayed the Inspirer' global platform at the World Government Summit 2018 in Dubai on Sunday. "The Emirati inspiration is inherited into our leadership, who pass it on to our people," he said during a WGS plenary session. 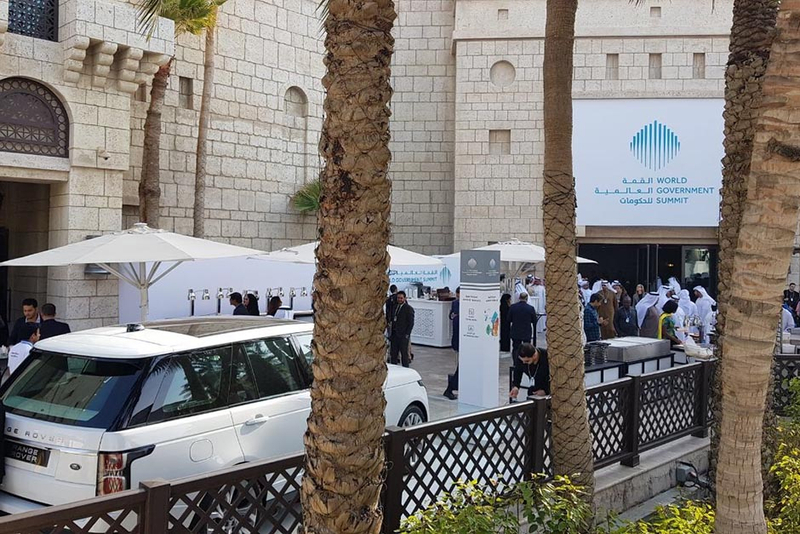 “The UAE has always served as a launch pad for trailblazing initiatives that positively impact the citizens' lives, such as souq, careem, and SellAnyCar,” said Shaikh Saif. Countries should not focus on the recent market slump but on the imperative of change going forward and the need to “fix the roof”, said Christine Lagarde, managing director International Monetary Fund during the sixth World Government Summit (WGS). Read more of Lagarde’s speech during the session titled “Using the Global Recovery to Create a Fairer World” here. Dr. Neil deGrasse Tyson, Astrophysicist and Director of the Hayden Planetarium, is at the conference talking about the Future of Colonizing Space. "Everything is in place to bring a force of nature onto the ambitions of the next generation. I know what that feels like, I experienced that and it has faded across the ocean for me and I'm delighted to see a resurgence of that here in the Middle East. This is drawing what is already a legacy" referring to the contribution of Arabs to the fields of science and mathematics. Oscar-winning American actor Robert DeNiro had some harsh words for the revised climate change stance by the leadership in his own country and its ecological record over the past year in remarks to the World Government Summit on Sunday. UAE Leaders hailed the visit of India’s Prime Minister Narendra Modi. "Dubai is a miracle, transforming from a desert to a futuristic metropolis. In India mortality rate has reduced by one third, as an example of technology improving life in last 25 years. But technology is sometimes used as tools of destruction, not development. The 6 R's of environment friendliness are Reduce, Reuse, Recycle, Recover, Redesign and Remanufacture - all of this leads to another R - Rejoice. The goal of human existence is not just progress, but the creation of happiness. Happiness is man's greatest wealth." He gave the example of depletion of ecology by urbanisation as well as radicalisation. He also listed various digital and technological advancements under his government in India such as biometric registration of people and farmers being able to sell through portals online. "India mars orbiter costs less per kilometre than a taxi ride - 7 rupees per kilometre compared to 10 rupees per kilometre." Modi concluded his address by outlining his priorities - online distance education for poor people in remote places, and solar energy storage facilities. "Regulation of activities, not entities, and on a cross national basis is crucial to anticipate where the next crisis will come from - will it be shadow banking? Crypto currency? It is much harder to do it, but more important bcause money knows no boundaries , money moves around. Focus on young people, especially in this region because 60 per cent of the population are under 25 years old. 60 percent feel you get where you need to get because of who you know and feel society will not provide them with a job. So, AI needs to be geared not towards the billionnaires but towards the youth. [On #MeToo] It is a critical message that it is not just about women because men have been subject occasionally - and every occasion is one too many - and now we should move from the emotion and anger which was important at that time and move towards action. So, now we have to be #YOUANDME. On the burden of proof now shifting to men and not on the the accuser - a lot of times allegations were not picked up in societies, we need to move into action. What does that mean? At the IMF, we have a system where we have a mediator and other officials that are outside the hierarchy to mediate and find solutions. They can go to you if you are the boss and the expectation is that you will sit down and talk and if you don't we will know about it. There are 'peers for respectful workplace' who are trained to listen and enable the emotional plea get out to the surface. We [the IMF] simply don't tolerate it." 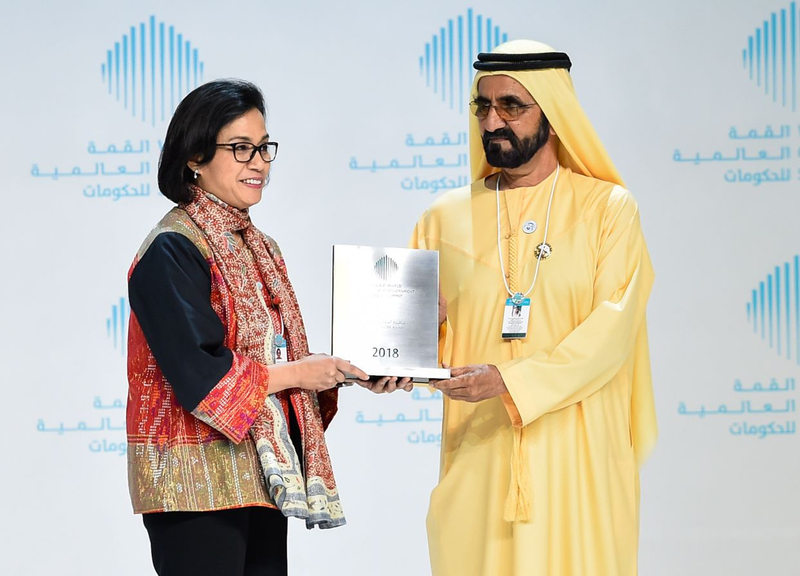 Sri Mulyani Indrawati, Minister of Finance of the Republic of Indonesia, was announced as the Best Minister in the World during the sixth World Government Summit on Sunday. His Highness Shaikh Mohammad Bin Rashid Al Maktoum, Vice President and Prime Minister of the UAE and Ruler of Dubai presented the award to Indrawati for her efforts in fighting corruption and increasing transparency in the government with the help of her team. History remembers leaders who transform and reform their constituencies for a better tomorrow for citizens, said the French Prime Minister Edouard Phillipe at World Government Summit this morning. The great French leader Napolean, for example, is not remembered just for conquering a vast swathe of Europe but also for his foresight to look ahead to a brighter future for his country, he said. “What stays in our memory two centuries later is his capacity to reform laws and civilian society in France,” Edouard told delegates. Humanitarian agencies around the world will be able to coordinate relief efforts thanks to a new centralised platform to give latest data in the wake of disasters and emergencies, said Princess Haya Bint Al Hussein, Chairperson of International Humanitarian City. In a main address at the World Government Summit on Sunday morning, Princess Haya launched a new Humanitarian Logistics Data Bank project to help agencies “share in real time,” she said. Princess Haya thanked more than 70 organisations which have contributed to the data base. “This achievement was not done by one group but thanks to all parties who helped make this project a reality,”she said. Relief supplies such as vaccines, clothes, shelters and food can be parachuted into crisis more quickly thanks to the new data platform. Officials from the United Nations and other world relief agencies were on hand to watch the signing of the letter of intent to form the new logistics data bank. David Beasely, Executive Director of the World Food Programme, thanked His Highness Shaikh Mohammad, UAE Vice-President, Prime Minister and Ruler of Dubai and Princess Haya for the commitment. He thanked Shaikh Mohammad for his vision and hope that will help save lives around the world. Prime Minister of the Republic of France, Édouard Philippe in Dubai for the World Government Summit. His Highness Shaikh Mohammad, UAE Prime Minister, Vice-President and Ruler of Dubai, has just arrived at the World Government Summit’s main plenary hall for the main address of the morning. The address to 4,000 delegates attending the session will be delivered by Princess Haya Bint Al Hussein, Chairperson of International Humanitarian City. Princess Haya is also United Nations Messenger of Peace. Angel Gurria, Secretary General of the Organisation for Economic Co-operation and Development (OECD) speaks at the World Economic Summit. Governments around the world must find more solid middle ground to boost their economies and bring up the least of its citizens to a better quality of life, said Angel Gurria, Secretary General of the Organisation for Economic Co-operation and Development (OECD) in a panel discussion at the World Economic Summit. Gurria said in the third morning session that governments are running the risk of voters abandoning the basic tenets of democracy as countries grapple with growing populism and a widening gap between haves and have-nots. Some countries seem to be on the verge of giving up on electoral process and governance. "Why did we lose Brexit? Why, because 60 per cent of youth didn't believe they needed to go and vote,"Gurria said. “We’re struggling with democracy, looking at the different forms, the different ideals,” he said. He argued that many world governments missed the boat to help the lower ranks of its voters’ roll call in the last 10 years since the 2008 world economic crisis. He said fragmentation could be worse in future if the needs of the more vulnerable elements of society are not met. "The idea that is governments open up and become more democratic that they will fall, is a false dilemma,”” he said. One of the world’s most popular physicists, Professor Michio Kaku, says few can imagine the ease of living and simple wonder the future will bring to unsuspecting citizens of today and tomorrow. In an address on Sunday’s opening of the World Government Summit, Michio said science will prevail in a fourth wave of discovery at the molecular level combined with highly sophisticated technology. Technology will bring us internet-enabled contact lenses, cars without steering wheels, digital wallpaper that will take questions and MRI medical machines the size of mobile phones. "In the future we will talk to the wall to receive medical care,”said Michio, a popular personality seen on science-related telelvision shows for decades around the world. The year 2018 will be a time of great change around the world, said Professor Klaus Schwab, Founder and Chairman of World Economic Forum, in the opening address at World Economic Summit on Sunday in Dubai. “Never before has the speed of change been so great as in 2018,”Schwab told some of the 4,000 summit delegates attending in the main hall. He encouraged everyone to meet the change and lauded UAE and Dubai officials for a great assembly of movers and shakers in the annual summit. A stellar line-up of global luminaries gather Sunday morning for the first full day of the three-day World Government Summit 2018, now in its sixth annual edition. More than 120 sessions from February 11 to 13 will focus on the summit theme “Shaping Future Governments”. “The World Government Summit is a global platform dedicated to shaping the future of governments worldwide, a knowledge centre at the intersection between government, futurism, and technology,” said organisers in a statement. The summit includes six global forums that will focus on unifying efforts to create a better future and a safe world that is blessed with peace, prosperity, and sustainability. India has been named guest country at this year’s event, and Prime Minister Narendra Modi will deliver the inaugural speech of the guest country on day one. A special delegation from the subcontinent will then showcase the country’s developmental experience in a special section titled ‘From India to The World’, which features streams on technology and innovation and India’s service sector. These special sessions will highlight innovation in vital sectors including healthcare, medicine and education. Under Indrawati’s mandate, Indonesia achieved tangible results in reducing poverty, improving the standard of living, reducing public debt and boosting transparency on public transactions.